All youth who enter our summer camp program as eager basketball players emerge as empowered basketball leaders. Youth who become “Taylored Athletes’ ” are shaped to harness their skills to compete against higher level competition. The Taylored Athletes Next Level Basketball Camp provides the most unique training environment in South Florida. Our staff is able to maximize youth’s ability to produce and sustain the high level of competiveness needed on a daily basis and into your season. Next Level Basketball camp will advance your basketball experience through our goal oriented dynamic skills circuit training program. We focus on training strategies that empower individual players to reach their full potential both on and off the court. Enjoy mastering the triple threat position and over 20 move variations. Increase your shooting accuracy by 40%. Improve your ball handling skills, shooting, team defense, team offense, (post, perimeter, & on ball concepts). 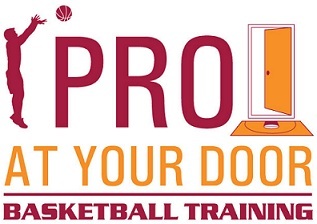 You will also gain the skills to compete at the travel basketball, middle school, recreational league, high school, college, professional levels. The Taylored Athletes Next Level Basketball Day Camps have been featured on CBS 12 Good Morning America, ESPN 760 Television, NBC 6 South Florida Today Show, and in such esteem publication as Sun-Sentinel.com, Palm Beach Post, NPR. Call 888.816.0721 to Register for Fun Week Session Today! With the summer fast approaching, we are sad to say that the kids are no longer going to be in school, we have found the Best Coral Sprigns Summer Camps this year for your kids so they have a fantastic summer vacation. With more fun camps to choose from your kids will be looking forward to our list of South Florida Summer Camps that we'll be featuring this year. We want to thank everyone involved in the helping and making the kids have a wonderful summer. Bookmark this page and check back often to see updates on Children's Summer Camps in Coral Springs. See you soon! Are you looking for the perfect kid's or teen summer camp activities? We have summer camps for girls and we have summer camps for boys. Florida Summer camps in South Florida provide children with a great summer experience. 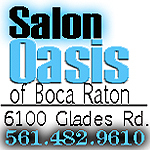 Make sure to check out our Boca Raton Summer Camps! 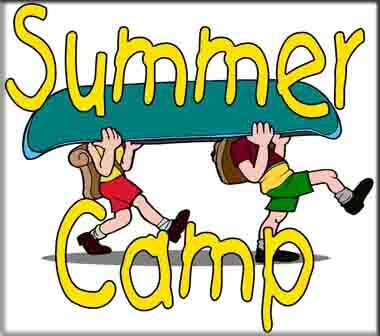 If you’re looking for summer camp information our directory will have many summer activities included; sleepaway camp, basketball camps, fat camp, soccer camp, summer camps for kids, kids baseball camps, YMCA summer camps, volleyball camps, adventure camp, christian camp, day camp, weight loss camp, girl scout camp, horse camp, overnight camp, music camps, science camp, summer sports camps, youth leadership camps, summer acting camps and drama camps for kids, art camps, gymnastics plus camps, and many more summer camp activities. We feature all types of summer kids camps from West Palm Beach to Miami Beach. There are many different kinds of summer camps, all of which can benefit your camper!